Five people are dead in two shootings near a suburb of Corpus Christ, Texas, three at a nursing home and two more in a residence linked to the shooting. 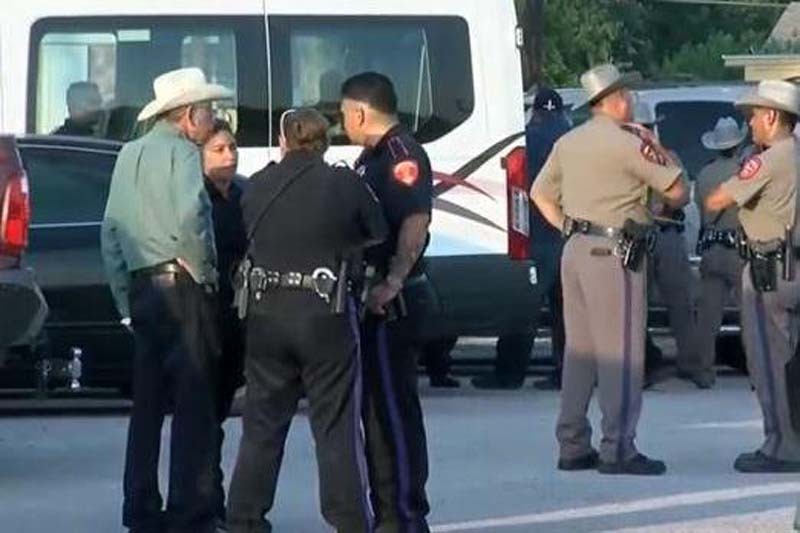 Officers received a call to the nursing home at around 7 p.m. Friday in Robstown, a town of 11,500 people about two hours south of San Antonio, city police said in a news release. They found a woman and two men dead, including the shooter, when they arrived. [post_ads]"You never think it's going to happen to your family, " Doris Salazar, whose mom stays at the nursing home, told the Caller Times. "You think they're safe." Later, authorities later found two men dead at the suspect's home. Officials said they could not release details on how the shootings, including the names of those killed. "Current information will remain scarce because we are looking at a murder investigation and not compromising anything that might impede that investigation," Robstown Police Chief Erasmo Flores said in a statement. "Our hearts go out to the victim's [sic] families and the residents, visitors and employees at Retama Manor who experienced this tragedy." The home is owned by Retama Manor Nursing Center, which operates a number of assisted living centers in south Texas. Police said it had 94 beds.